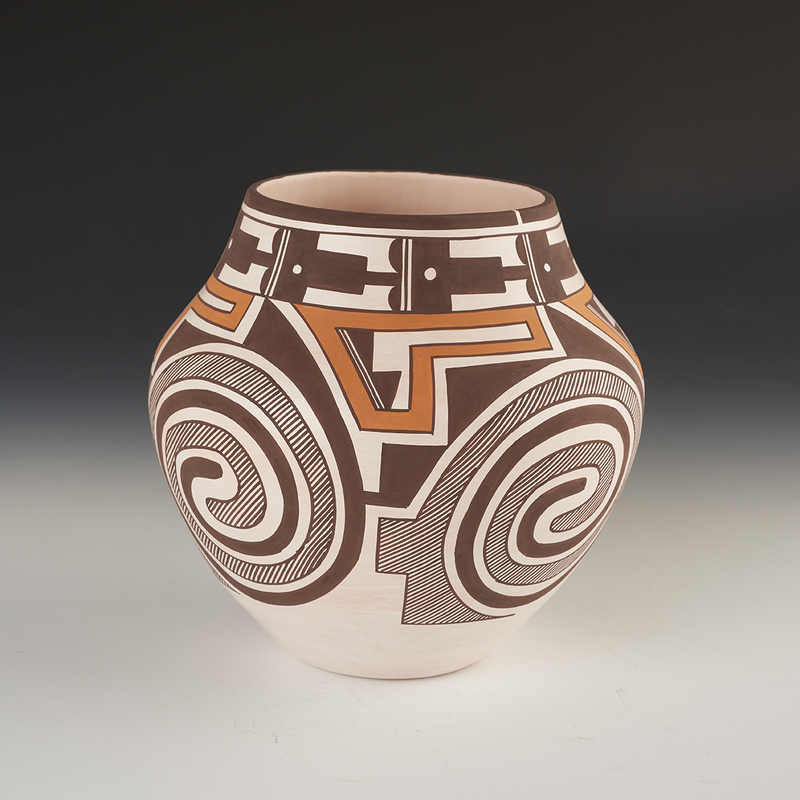 This is a beautifully designed new hand coiled jar by Myron. It shows the Tularosa swirl, black and white design work with added terra cotta slip. 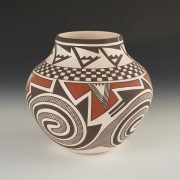 Myron spend time studying ancient designs, which then inspire him to create unique variations. 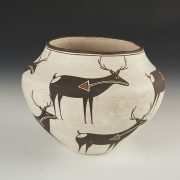 The end result is that his pottery displays an ancient look with contemporary elements. This is a perfect example of that work.